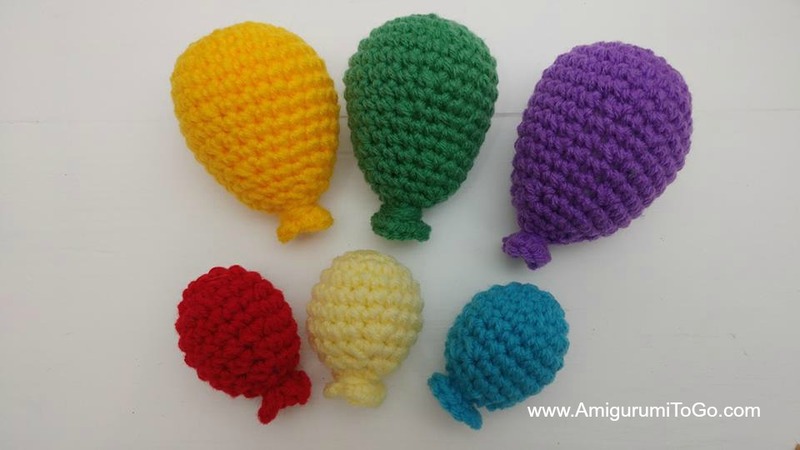 What can be done with crochet balloons? 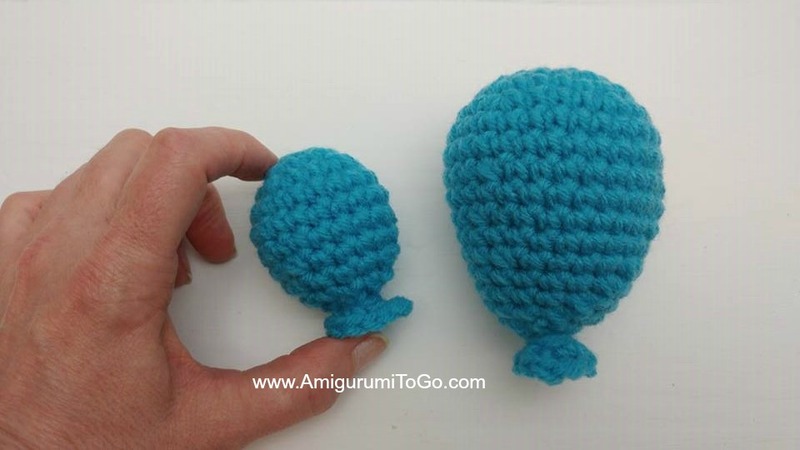 These crocheted balloons would make great party favors for a birthday party or as a fun decoration hung in a child's bedroom. I used 20 gauge wire, looped one end and put a piece of tape over it so it wouldn't topple over. 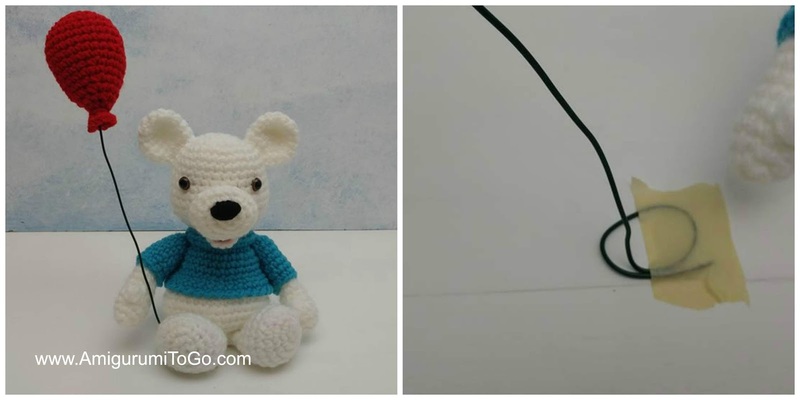 If you made the loop larger it would stand up on its own. works up about half that size. worsted weight yarn. 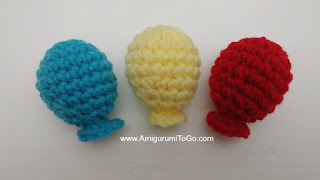 I used Red Heart Comfort yarn for all but the red balloons which are Red Heart Super Saver. Mark off the last stitch and move that marker at the end of each row. Each row has a sequence. Example: 1sc then 2sc in next st means repeat that sequence 1sc then 2sc in next st followed by 1sc then 2sc in next st over and over to the end of that particular row. The number inside the parentheses ( ~ ) is the number of stitches you should have at the end of that particular row. Stuff the majority of the balloon. sl st next loop and finish off leaving a tail. Wrap the yarn tail tightly around the last row a few times to make it look like a balloon does when tied off to keep the air inside then knot off and hide yarn tail inside balloon.